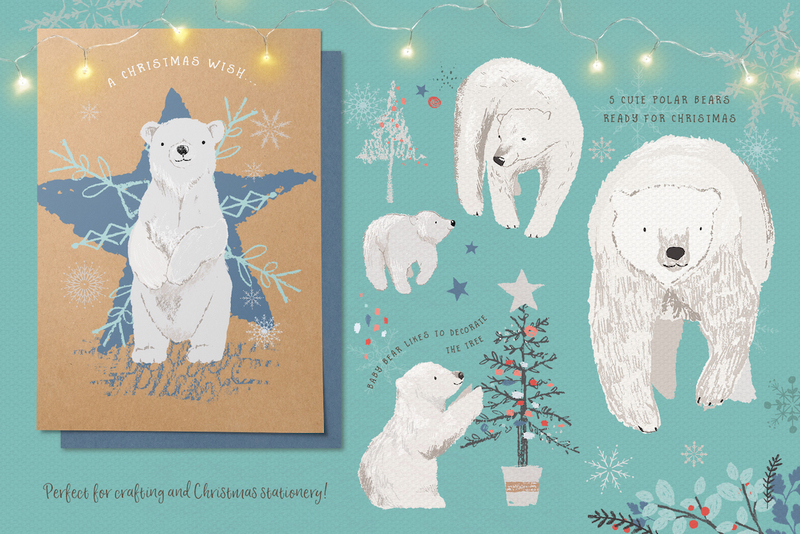 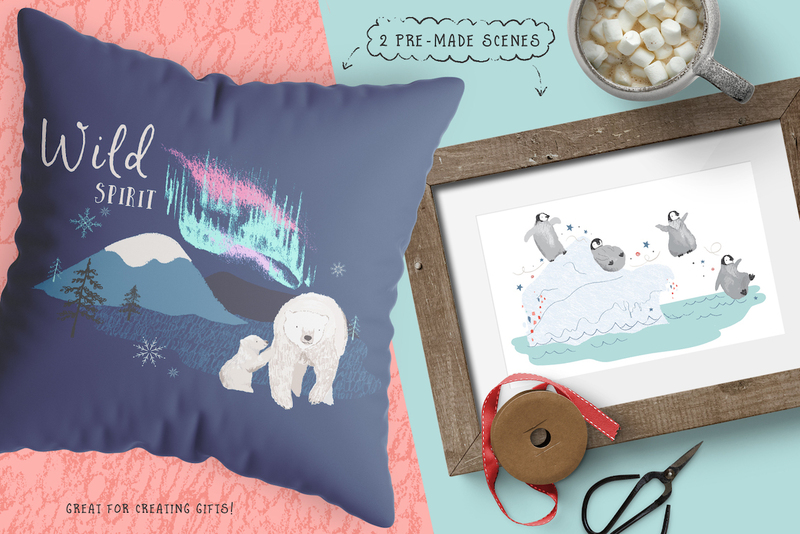 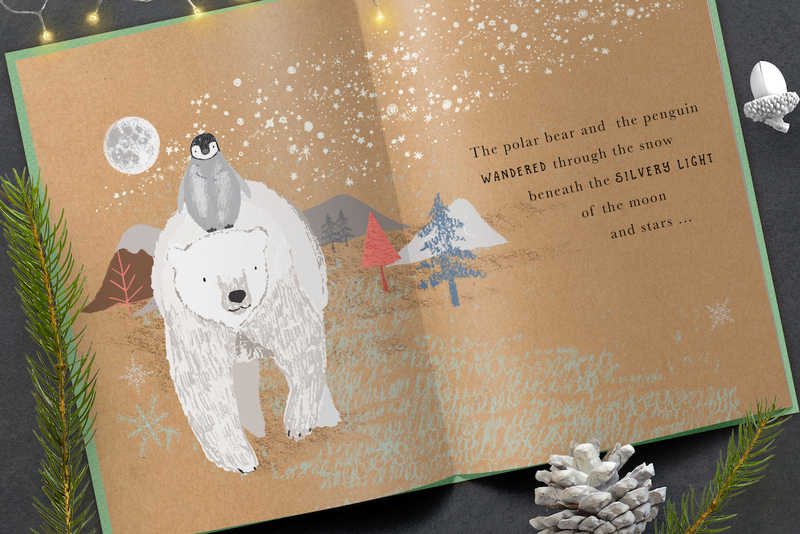 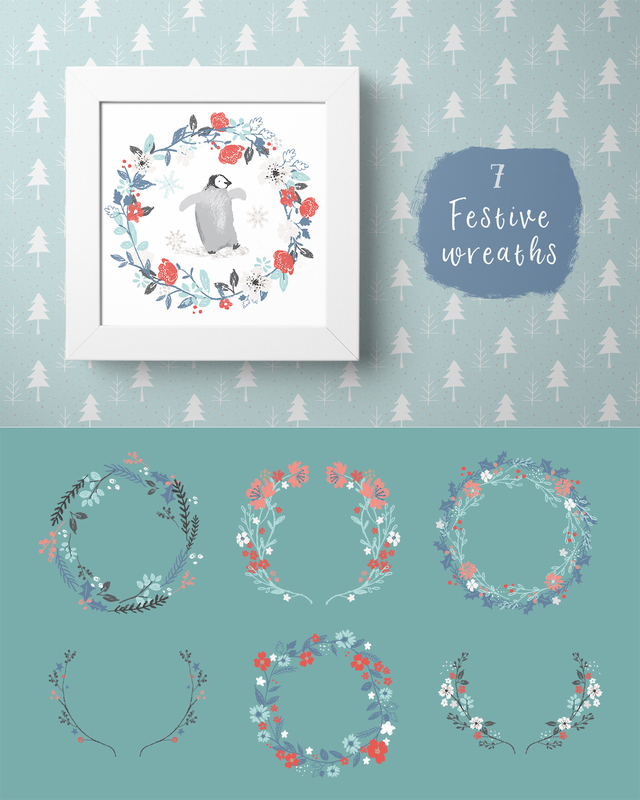 Presenting Polar Bear Christmas Clipart Set, a festive set featuring cute polar bear and penguin illustrations with a large collection of extras for creating festive scenes and decorations! 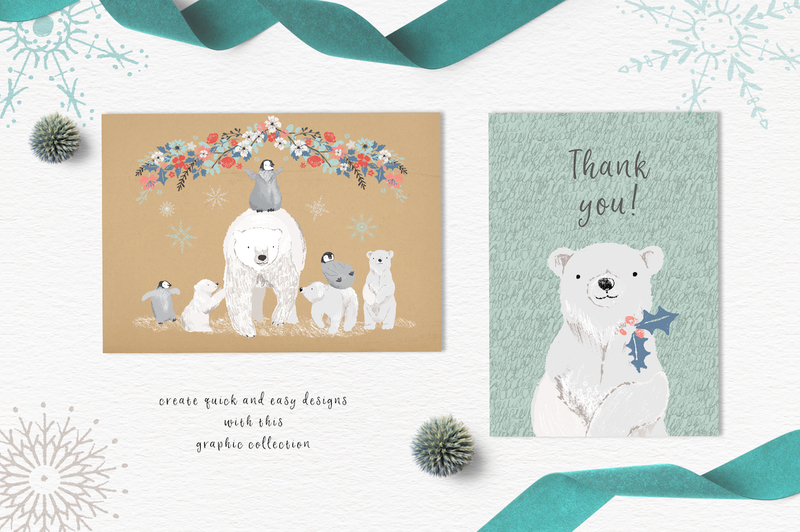 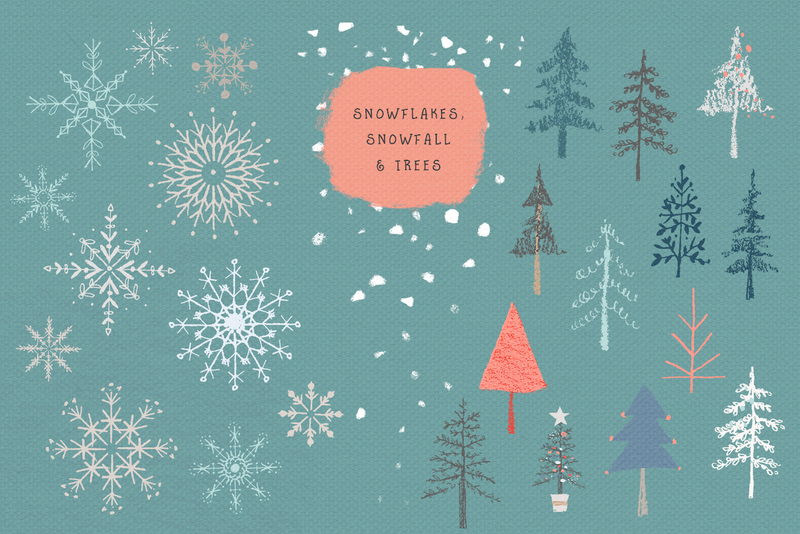 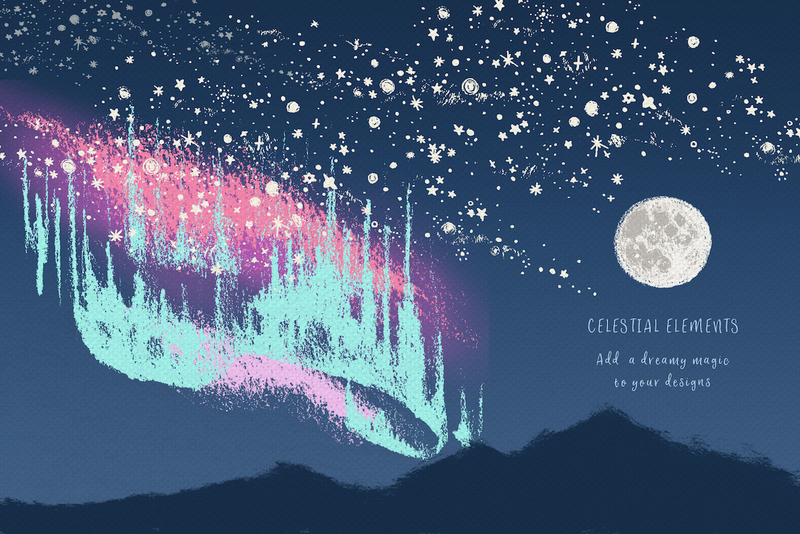 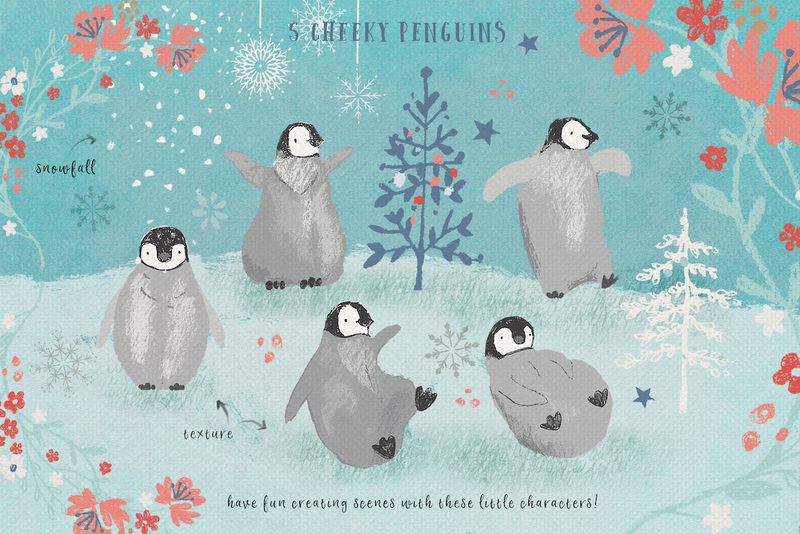 This collection of hand-drawn illustrations is perfect for adding a festive splash to a range of design projects, including Christmas cards, gift designs, Christmas party invitations, even winter wedding stationery. 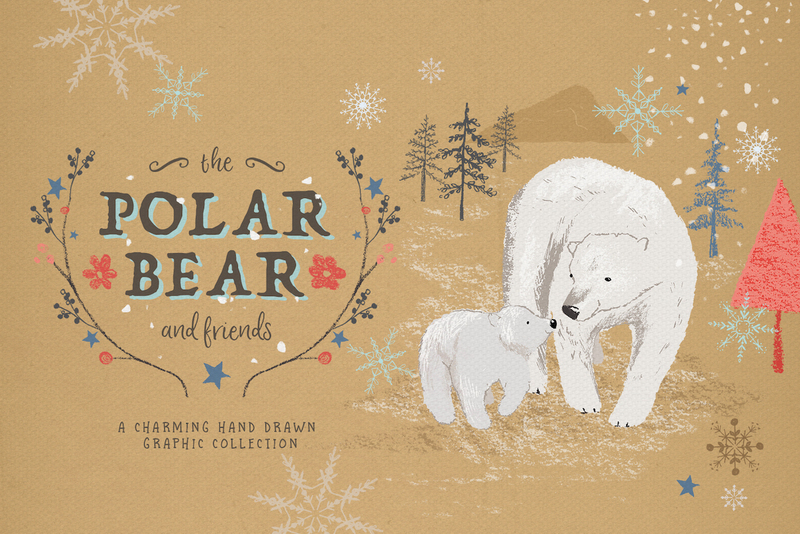 All the illustrations in this set have been carefully hand-drawn and scanned into Illustrator to create both vectors and high resolution .PNG graphics. 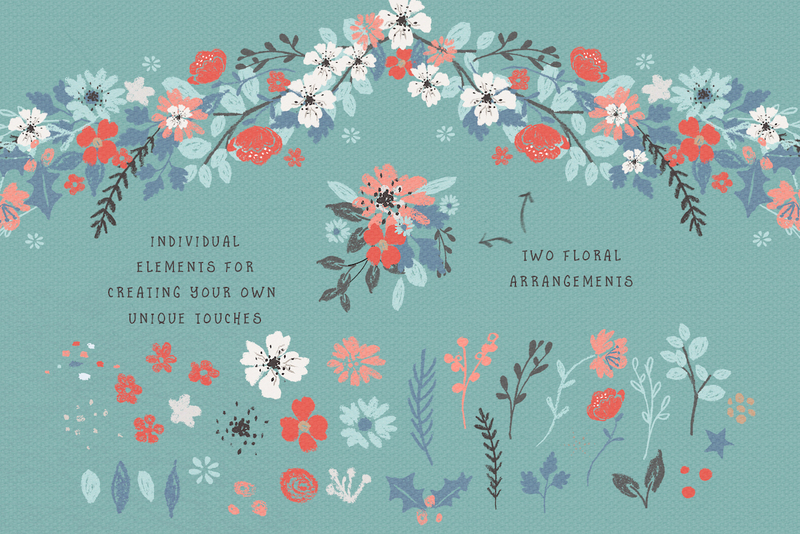 The set also features a range of tileable patterns to use as surface prints in your designs.